Route 27 To Island Street To Copperwood Drive. Third Left. 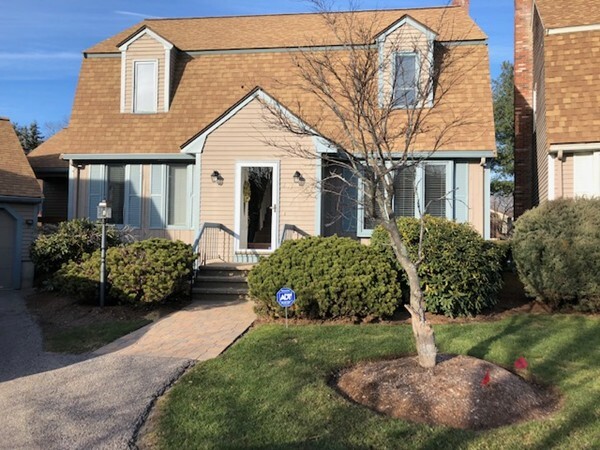 BEAUTIFUL GAMBREL TOWNHOME WITH LOTS OF UPDATES AND LIVING SPACE SITUATED IN QUIET CUL-DE-SAC LOCATION. THREE VERY GOOD SIZED BEDROOMS ON THE SECOND FLOOR. MASTER HAS ITS OWN BATH AND A WALK IN CLOSET. AND IF YOU HAVE A NEED FOR A FIRST FLOOR BEDROOM, THAT IS POSSIBLE. THREE FULL BATHS; ONE ON THE FIRST FLOOR WITH A WALK - IN SHOWER. LAUNDRY IS ALSO LOCATED IN FIRST FLOOR BATH. FURNACE, AIR CONDITIONING AND APPLIANCES ARE ALL NEWER, AS IS THE CARPETING. BEAUTIFUL UPDATED KITCHEN WITH BIRCH CABINETS, TOFFEE COLORED, STAINLESS STEEL APPLIANCES AND GRANITE COUNTERTOPS. THE BEAUTIFUL FLOORING IN THE KITCHEN/FAMILY ROOM ON THE FIRST FLOOR IS RED OAK. YOU DON'T SEE TOO MANY THREE BEDROOMS CONDOMINIUMS ON THE MARKET, SO DON'T MISS THE OPPORTUNITY. EASY TO SHOW!!! JUST A LITTLE NOTICE PLEASE.